One Way Cruise To Alaska - Seattle, Vancouver or San Francisco? One Way Cruise To Alaska – Seattle, Vancouver or San Francisco? When you are contemplating an Alaskan cruise, one thing to be determined is do you want a round-trip or a one way cruise to Alaska? Another is where would you like your trip to commence? If you live in the northwest anyway, then getting yourself to Seattle may not be that much of a challenge to meet your ship, but for others, getting to the port is part of the vacation. With a Royal Caribbean Alaska cruises depart from Vancouver or Seattle, so if you choose this line you can enjoy all they have to offer from either a Canadian or American port. If you enjoy longer stretches at sea, however, you can choose to cruise from San Francisco. Alaska cruises from San Francisco start with the stunning Golden Gate Bridge and allow you to take in all that the ship has to offer before you get to your first port of call at Ketchikan. Sailing from Northern California is a great choice because the distance is drivable from many areas, negating the need for the added cost of flying to the port city. A one way cruise to Alaska from San Francisco will be longer by two or three days than one that originates in Seattle or Vancouver just because you must cover more ground along the US coast. Alaska cruises from Vancouver are a popular choice for many as Vancouver is a beautiful city with a multitude of things to do either before or after your cruise. It is the third largest city in Canada and has a rich and diverse history as well as breathtaking city and mountain views. Don’t want to cross the border? Then Seattle is another great gateway to Alaska. Since Seattle and Vancouver are virtually a stone’s throw from each other, leaving from either port will add up to the same amount of days at sea. From either port, a one way cruise to Alaska will be about seven nights in duration. 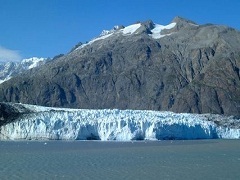 Alaska cruise deals are always waiting to be had, either when you book through a travel agent or go it alone online. Some offer you discounts depending on where you want to leave from and others offer shipboard perks for those who book well in advance. Whichever port you choose, whether it is Vancouver, San Francisco or Seattle, you will find awesome adventure awaiting you on your one way cruise to Alaska.